Three very different speeches. Leanne’s speech was aimed very squarely at the Eisteddfod crowd, delivered entirely in Welsh (unlike the other candidates who did half and half) and mostly about the Welsh language. Adam Price’s and Rhun ap Iorwerth’s speeches were both naturally on the theme of the need for change and the importance of communication. Rhun tried to prove his ability to communicate effectively with the public by delivering a very crowd-pleasing speech that garnered a lot of applause. Of the two, Price was much more dire in his predictions of what would happen if the party did not change course. There was something of the fire and brimstone preacher – we faced damnation if we did not change our ways! His speech was much more cerebral. So who did best? I’m not sure it’s easy to tell, as all three were clearly trying to achieve something very different. Alun Ffred Jones thanks the excellent candidates. It’s not about talking to each other but talking to Wales, he says. Adam Price is up now. He usually starts a speech by mentioning something about the history of where he is. But he couldn’t find anything historical about the Novatel Hotel, Cardiff. He had found his calling – knocking Welsh Labour leaders off balance. There was poverty in the Amman Valley but no poverty of ambition, he says. But compare the start he got at school with the start that young people are getting in Wales. Think about the waste of talent in Wales’ school system. What made you join up with Plaid Cymru? Because that small seed of ambition was planted in each of us. At Harvard, he met many ambitious people who were there to collect ideas and return home in order to put them to work. We all agree where we want to go, he says. A new independent state that will also be a state of mind. But who has the compass and the map to take us there? The road we are on will lead to defeat. And we have limited time to be anything other than candid. But we could choose the road of winning, not just an election but a whole new nation. The real repercussions of our choice will be in the land and the history. Think only of Wales, not me and the other candidates. The people of Wales face in Brexit a threat of existential proportions. The very idea of Wales is under threat. But in every crisis, there is always opportunity. We have to take it into our own hands. We have to win, not for our sakes but the people who are depending on us. In three years we will have to send to a TV debate the best that we have. Put me a room into Mark Drakeford. Give me that stage, and I will present to our people a new story. I will persuade even Labour members that it is time for change, he says. If what we do remains the same, so will what we are. Together we can build the country we know we can be, he says. Leanne Wood is up now. She says that her leadership was unexpected. She feels that she has made a difference to people’s lives. Only Plaid Cymru can help Wales and over the next weeks, she will continue to show what a Plaid Cymru government would achieve. Plaid Cymru needs to follow the radical tradition – give hope and show people what is possible. She felt pride when elected leader, but also fear. She was afraid of what people would think of a non-Welsh speaker. She feels angry that she lost something so precious, something her grandfather had but something she was not gifted. He was told the Welsh language was backward. And here she is two generations later trying to regain her birthright. We need radical ideas to strengthen the Welsh language everywhere. There needs to be more money available for free Welsh language lessons. The history of Wales is a history of loss. 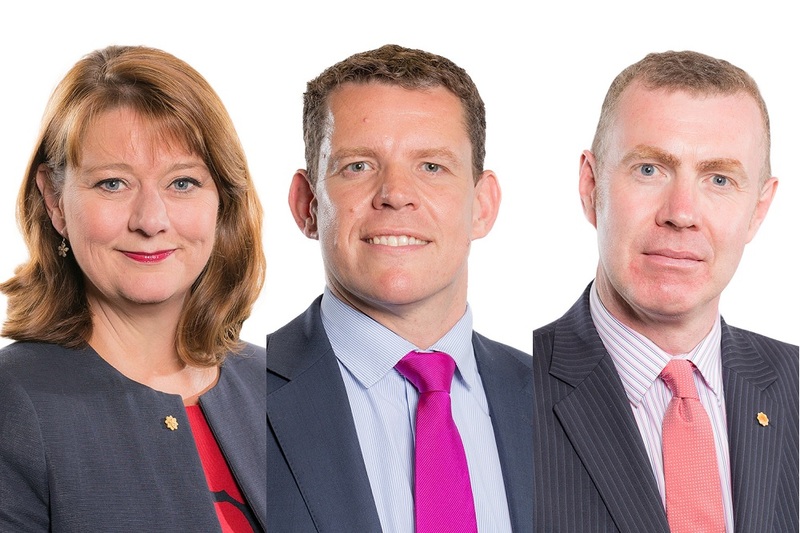 She is Plaid Cymru leader to create a history of gain. If we don’t believe we can change things, what is the point of Plaid Cymru? She likes to do things against the odds. Her next target is leading a government. Don’t bet against me, she says. Her speech was delivered entirely in Welsh, and was mainly about the Welsh language. Rhun ap Iorwerth goes first. He welcomes those who have come from the Eisteddfod in Cardiff Bay, the rest of Cardiff and across Wales. The size of the audience is a sign of the importance of this leadership contest, he says. Does Plaid Cymru need to lift a gear or is it happy to keep coasting at the same speed, he asks. He has the impression that members want to ask fundamental questions. Are we doing enough to excite people about the new Wales we are trying to build? He is glad that he has taken the step and put himself forward, he says. There’s no point having a vision if you don’t communicate it effectively to the public, he says. We need to persuade people. We also need ideas. There is no lack of ideas in Plaid Cymru, he says. He is part of a team that consistently comes up with visionary ideas. The audience applauds as he mentions independence. We need to fight back against the UK Government which wants to put a British brand on everything, he says. We need to invest in infrastructure to join us up as a nation, he says. We need to lead the Welsh Government if this is going to happen. He won’t stand by and watch as our distinctiveness as a nation is taken away from us. From business people to students, to farmers, to teachers, everyone who shares that vision needs to feel they have a home in Plaid Cymru. Other parties will always put the preservation of the UK before the aspiration of Wales, he says. He says people should have a say on the final deal of Bexit. An independent Wales should be an open one that rejects isolation and wors in partnership with others. It’s an exciting future and Plaid just needs to communicate what that future is, he says. He is looking forward to the next six weeks of campaigning, he says. It is not about leading Plaid Cymru but leading Wales. There is long and sustained applause at the end of the speech. Party chairman Alun Ffred Jones says that the leadership race is a sign of strength and that the party will come out of it united. Welcome! We’re here at the Plaid Cymru leadership launch in Cardiff, where all three challengers will be setting out their pitch to the Plaid Cymru members present.